‘Slammed 60’ made it’s debut last year at Motorex, and even in unfinished form you could tell it was a thing of beauty. With a great stance and wicked chop, it had a great presence to it. Bathe it in a sublime paint job by the legendary Gene Winfield, and the finished product is one seriously nice piece of gear. 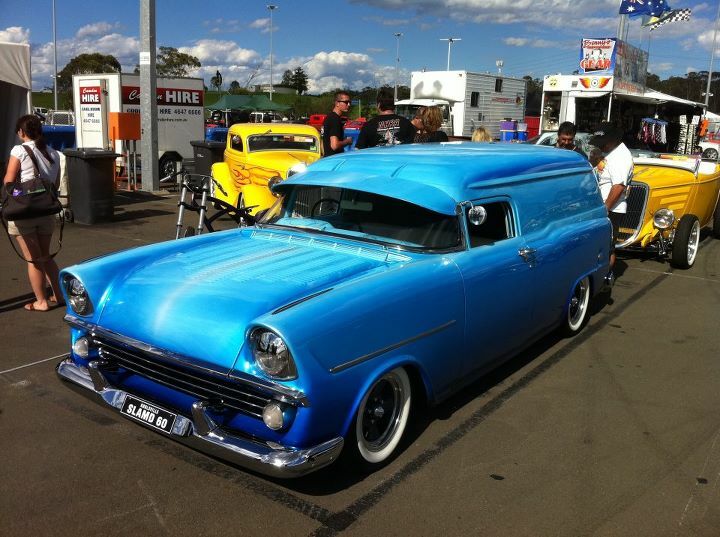 We stole this pic off the Street Machine facebook page (taken at the Rodders Life Nationals), word is they have a full feature in the next issue. In a car with so many cool details, one of my faves is the period 5 spokes wrapped in wide whites – a very traditional Aussie custom touch.